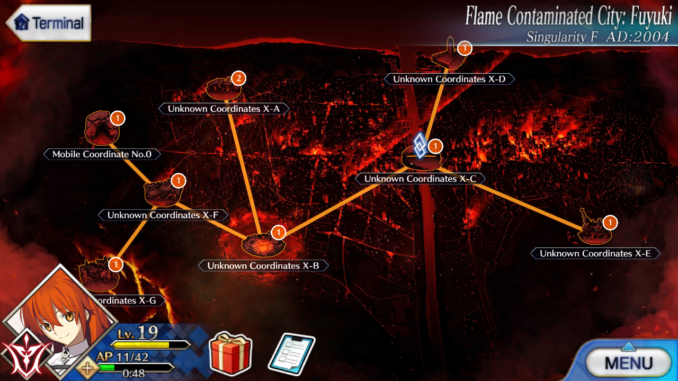 This article contains all the free quest walkthroughs in regards to the Flame Contaminated City of Fuyuki in Fate Grand Order [FGO]. This will also have some tips and tricks on how to get through this part of the game. The Flame Contaminated City of Fuyuki is the first singularity that the player encounters. As Chaldea sinks into destruction, the player departs with Mash to help solve the singularity and abnormality in Fuyuki. After finishing each area, each area will have a Free Quest that you can repeatedly farm for materials and exp.